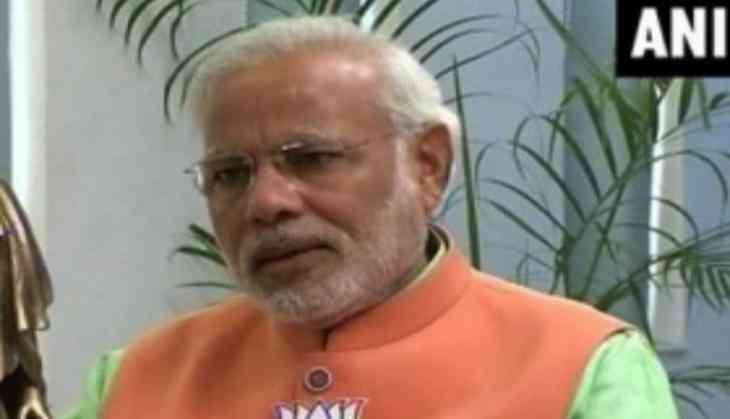 Prime Minister Narendra Modi on 1 August reviewed flood situation in North-Eastern States at a series of high-level meetings in Guwahati and announced assistance of over Rs. 2000 crore. The Prime Minister announced the package for relief, rehabilitation, reconstruction and flood mitigation measures in the flood-affected North-Eastern states. Through the course of the day, the Prime Minister held separate, detailed review meetings on the situation in the states of Assam, Arunachal Pradesh, Manipur and Nagaland. The Chief Ministers of the respective states, and senior officials were present at the meetings. A memorandum was received from the Chief Minister of Mizoram, who could not make it to the meeting in person. Around Rs. 400 crore will be provided for improving the water holding capacity of the Brahmaputra River, which will assist in flood control. The North-Eastern region, with eight percent of India's land area, contains one-third of the country's water resources. The Union Government will constitute a High Level Committee, with representation from Ministries of the Government of India and the States, for proper management of the region's vast water resources. An ex-gratia assistance of Rs. 2 lakh to the next of kin of the deceased, and Rs. 50,000 to each of those seriously injured due to the floods, has been sanctioned under the Prime Minister's National Relief Fund (PMNRF).